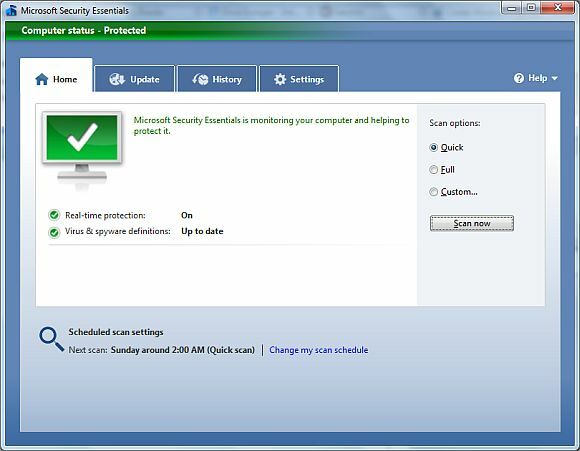 Microsoft just released a free virus, spyware and malware protection software called Microsoft Security Essentials (MSE). You can get download it from here. The MSE received favourable review from several tech site such as Ars Technica. If you are not using any antivirus software, MSE is definitely one of the free antivirus software that you should give it a try. Please do post your experience with the software in the comment! This entry was posted in Software and tagged antimalware, antispyware, antivirus, free, freeware, malware, microsoft, microsoft security essentials, mse, security essentials, spyware, virus. Bookmark the permalink.